“Who wants an opera box I’ll bet? I don’t. And sleep through Wagner at the Met? I don’t”, is one refrain from Cole Porter’s famous song “Who wants to be a millionaire”. To my mind, however, this is a rather an unfair characterization of Wagner’s music, which I personally find extremely engrossing. On a recent visit to the Lyric Opera of Chicago to attend a performance of Siegfried, the third Opera of Wagner’s cycle “The Ring of the Nibelungen”, I hung on every word for the entire 5 hours of this epic encounter. Nevertheless, I must confess that some members of the audience, who appeared less engaged in the proceedings, were fast asleep, Wagner’s music being accompanied by a low thrum of snoring. And it wasn’t just members of the audience who appeared to be excessively somnolent. The fact is that half the characters in the opera are also fast asleep and have apparently been so for a considerable time. There are basically seven characters in the opera. Siegfried, our hero. Mime, the dwarf. Mime’s brother Alberich, another dwarf. Fafner, the dragon. Wotan, the king of the Gods (he is in disguise, but nobody is fooled). Erda, the Earth Goddess, and Brunnhilde, one of the Valkyries. During the opera Fafner, Erda and Brunnhilde all have to be woken up from their deep slumber so that they can take part in the action. Fafner the dragon lives in a cave deep in the woods where he sleeps on top a vast pile of gold and other valuable items, particularly the magic ring from which the drama gets its title -The Ring of the Nibelungen. Everybody is desperate to get hold of the ring so that they can rule the world (yes, there are certainly a lot of parallels here with The Lord of the Rings, Beowulf and other takes on Norse mythology). Nobody is brave enough to kill the dragon except Siegfried who isn’t scared of anything (he isn’t that smart!). Siegfried is led into the wood where he wakes Fafner up. They fight and Siegfried kills the dragon and wins the ring. Later on Siegfried discovers the sleeping Brunnhilde. She is a female warrior or Valkyrie and is the favorite daughter of Wotan, the king of the Gods. However, because she has previously disobeyed Wotan, Brunnhilde has been “grounded”. This involves being put to sleep on a rock surrounded by fire. She cannot be woken up by anybody unless he is an incredibly brave hero who can fight his way through the fire. 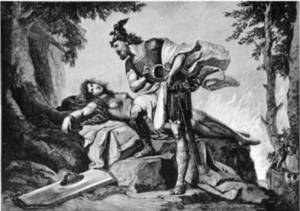 Of course, Siegfried is incredibly brave and so he is up to the task and wakes Brunnhilde up with a kiss. The two of them then take part in 45 minutes of what Anna Russell has called “extremely competitive singing” of the type “anything you can sing I can sing louder”-this means that they have fallen in love and can move on to the next part of the story. However, although both Fafner and Brunnhilde have been asleep for a very long time, this frankly pales in comparison to the goddess Erda. Erda is the goddess of the Earth and lives in a cave next to the roots of the World Ash tree “Yggdrasil”. Erda has been asleep since the beginning of time. She has only been woken up very occasionally including once so that she could have a fling with Wotan and bare him the Valkyrie warriors, including Brunnhilde, as daughters. So, in fact Erda and Wotan are Brunnhilde’s Mum and Dad. Erda is extremely wise and knows everything that has or will happen. During the opera Wotan wakes her up again to ask her advice after which, unsurprisingly, she goes straight back to sleep. getting back to sleep after waking in the night is a chronic problem that negatively impacts their lives. Insomnia is not a recent phenomenon.There are descriptions of people who have abnormal sleep patterns going back to the Epic of Gilgamesh which was first written down around 2700 BC and is generally reckoned to be the “oldest story known to man”. What has changed recently is the significance of insomnia. In modern times our attitude towards sleep has become somewhat ambivalent. Like all animals, humans need to sleep for adequate amounts of time and, if we don’t, we not only feel bad but are also more likely to develop health problems such as diabetes. On the other hand in our “Time is money” and “Winner takes all” society, sleep is often seen as a waste of time. The pressures of modern life make it more and more difficult to obtain the rest we need. Many diseases such as major depressive disorder are also associated with insomnia. Lack of sleep is therefore acknowledged as a huge health problem and we are constantly looking for new ways of dealing with it. But, as it turns out, the state that opioid drugs produce is very different from natural sleep. The fact is that when we are engaged in normal sleeping our brains are anything but devoid of activity. Sleep is a complex behavior defined by different phenomena that are all important in producing the kind of sleep experience that is commensurate with effective human activity during wakefulness. We all need to have adequate amounts of normal sleep in order to function properly. Nevertheless, exactly why this is the case and what precisely is achieved by sleeping is one of the great mysteries of life. Scientists have produced ever more accurate descriptions of sleep related phenomena by recording the electrical activity of the brain while people are sleeping as well as the physiological states that accompany it. This is anything but straightforward and can be described as “sleep architecture” consisting of several stages. Overall, scientists have described two very distinct types of sleep, non-rapid eye-movement (NREM) sleep and rapid eye-movement (REM) sleep. Each type of sleep is associated with its own particular characteristics, particularly variations in brain wave patterns such as those recorded by electroencephalography (EEG), eye movements, and muscle tone. NREM sleep can be subdivided into 4 stages which relate to the depth of sleep during each stage. Sleep stages 3 and 4 are collectively known as slow-wave sleep (SWS). Over the course of a period of sleep, NREM and REM sleep alternate cyclically. A sleep episode begins with a short period of NREM stage 1 progressing through stage 2, followed by stages 3 and 4 and finally to REM. The pattern of sleep then cycles between stages of NREM and REM throughout the night, NREM sleep constituting about 75 percent of the total time. The average length of a NREM-REM sleep cycle is about 90 to 120 minutes Dreaming has been most often, but not exclusively, associated with REM sleep. Loss of muscle tone and reflexes during REM sleep presumably serves a protective function preventing individual from “acting out” their dreams or nightmares while sleeping. Of course, most drugs that affect the functions of the brain do so by modulating the actions of different types of neurotransmitters. Hence, if we want drugs to treat insomnia properly we need to understand the relevant neurotransmitters and neural circuits that normally regulate sleep. There are two linked sets of neural pathways in the brain that mediate sleep and wakefulness. Alertness and arousal are regulated by ascending nerve pathways projecting from the pons and midbrain areas of brain stem. One pathway innervates the thalamus, and the second innervates the posterior hypothalamus and forebrain. The nerves in these arousal pathways utilize a variety of neurotransmitters including acetylcholine, norepinephrine, serotonin, dopamine and histamine. The neurons that use these transmitters and are located in the pedunculopontine and latero-dorsal tegmental nucleus (PPT/LDT), locus coeruleus (LC), dorsal and median raphe nucleus, and tuberomammillary nucleus (TMN), respectively. Coordinated firing patterns from these various neuronal cell groups promote arousal. Every 24 hours the arousal system is inhibited by sleep promoting neurons that utilize the inhibitory neurotransmitter γ-aminobutyric acid (GABA) and the neuropeptide galanin and are located in the ventrolateral preoptic nucleus (VLPO). The interaction between the VLPO and the ascending arousal pathway is mutually inhibiting and functions like an “on-off” switch allowing rapid transitions between stable states of sleep and wakefulness. A further important influence utilizes nerve pathways from the suprachiasmatic nucleus (SCN) which are responsible for regulating circadian rhythms. The SCN receives direct inputs from the retina that act as brightness detectors. The SCN then transmits this information to the rest of the brain and body producing signals that bring all of the daily cycles in synchrony with the external day-night cycle. The most ancient remedies for sleeping are alcohol and opioids which have been around for thousands of years. As stated above, however, opioids don’t really produce a normal pattern of restorative sleep. As we shall see, alcohol produces other problems. As might be expected, drugs that are used to treat insomnia generally interact with the transmitter systems that regulate the nerve pathways that determine the sleep/wake transitions. The neurotransmitter GABA acting on GABA-A receptors inhibits many of the neurons in the wakefulness pathway and so activation of these receptors is one good way of producing sleep. Drugs that activate GABA-A receptors generally have the effect of inducing sleep (hypnosis) as well as other effects resulting from the inhibition of neurons in the brain such as reducing anxiety (anxiolysis), inducing anaesthesia, producing anticonvulsant effects and, at higher concentrations, being fatal. In addition, GABA-A agonists have all eventually been found to be addictive and have appreciable abuse potential. Alcohol, which is a rather non-specific drug, does produce agonist effects at GABA-A receptors. Unfortunately, although alcohol does help people to fall asleep, it is metabolized very rapidly and so its hypnotic effects are followed by a rebound state where many awakenings occur. The first synthetic drugs for treating sleep were synthesized in the 19th century. Chloral hydrate, which can activate GABA-A receptors, was synthesized in 1832 and became widely used as both a hypnotic and intravenously as a general anaesthetic. Use of the drug declined in the 20th century with the development of better, more specific GABA-A receptor activating hypnotics. 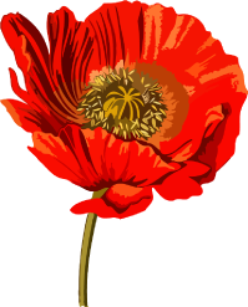 The first of these, and one of the most important classes of drugs, was the barbiturates. Barbituric acid, which is not biologically active, was first synthesized by Adolf von Baeyer on St Barbara’s day in 1864 by reacting urea with diethyl malonate. 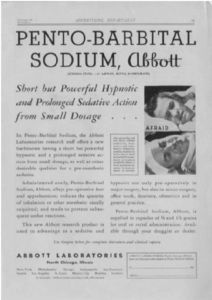 Its pharmacologically active derivative barbital was synthesized in 1903 and found to be a very effective hypnotic. The drug was marketed by the Bayer drug company under the name Veronal. It was the first barbiturate drug and thousands of derivatives were subsequently produced which were used for producing anaesthesia, as sleeping pills and for many other purposes. active marketing campaign, became widely used as a treatment for sleep and anxiety. Indeed, the entire country was swept by a Miltown craze representing an entirely new market for drugs of this type. The fad for Miltown, however, was not long lasting because of the introduction of an even better class of drugs-the benzodiazepines. The first drug in this class, chlordiazepoxide was synthesized by Leo Sternbach ,a refugee from war torn Europe, in 1955 when he was working at the Hoffmann-La Roche research labs in Nutley, New Jersey. This discovery was rapidly followed up with the synthesis of diazepam (Valium), one of the most successful drugs ever produced. Some subsequently synthesized benzodiazepines, such as flurazepam (Dalmane) were particularly targeted to the insomnia market. Indeed, benzodiazepines as a class have been fantastically successful and have been used not only as hypnotics but for many other indications as well. They are still very widely used in medicine, although the initial enthusiasm for them has been somewhat tempered by the realization that, like other GABA-A receptor modulators, they are addictive and have quite a high abuse potential. It was subsequently discovered that GABA-A receptors are actually a heterogenous family of proteins that combine to make GABA activated Cl- permeable ion channels. Pioneering studies using knockout mice carried out by the Hoffmann-La Roche drug company demonstrated that the different effects produced by benzodiazepines (hypnosis, amnesia, muscle relaxation etc. ) were mediated by different GABA-A receptor subtypes, the α1 subunit containing receptors being most responsible for the hypnotic effects of the drugs. This led to the idea that drugs that targeted this specific receptor subtype might be selective hypnotics. The “Z -drugs” such as zolpidem (Ambien), zaleplon (Sonata) and eszopiclone (Lunesta), new chemical structures that were not benzodiazepines, targeted the α1 subunit containing GABA-A receptors that are most concerned in producing sleep and resulted in drugs that were relatively free from some of the side effects that were associated with drugs like diazepam. These drugs are the current version of GABA-A related hypnotics and have been extremely successful. Unfortunately Z-drugs are not free of the dependency producing characteristics of the original benzodiazepines. Although drugs like barbiturates, benzodiazepines and Z-drugs all produce their effects on sleep through GABA-A receptors, they don’t all do this in exactly the same manner, combining with the receptors in a variety of different ways. We might therefore expect that the states of sleep they produce might not be exactly the same, leading one to wonder if all GABA-A activating hypnotics produce normal sleep ? In fact, it is widely acknowledged that most of these drugs do alter sleep architecture in a variety of ways. Benzodiazepines, for example, produce decreases in stage 3/4 deep slow wave sleep, whereas such effects are less evident with Z-drugs. Clearly the most desirable drugs would be those that produce the most natural forms of sleep. Indeed, activation of GABA-A receptors is not the only drug mechanism available for producing sleep. For example, histaminergic neurons arising in the tuberomammillary nucleus (TMN) are important components of the neural circuitry that produces wakefulness. Hence, antihistamines, which block the influence of TMN histaminergic neurons are often used as over-the-counter sleep aids. Moreover, there are many other mechanisms that might also be targeted. One of the most interesting involves pharmacological manipulation of the influences of the circadian clock by the hormone melatonin. The use of a melatonin receptor agonist for insomnia is based on the switch model of the regulation of the sleep-wake cycle and the entraining of this process to the light/dark cycle so that sleeping occurs during the period of darkness. The drive for falling asleep accumulates during waking hours and so continuous wakefulness results in excessive sleepiness. Humans require approximately 8 hours of sleep per day in order to function effectively. The circadian system is biologically entrained to the photoperiod from light exposure sensed through the retina and transmitted through the retino-hypothalamic tract to the suprachiasmatic nucleus (SCN) in the anterior hypothalamus. The SCN in turn controls the activity of the pineal gland which produces melatonin and releases it into the bloodstream. Melatonin levels are very low throughout the day and gradually increase towards evening, reach a plateau during sleep, and decline again towards morning. Decreases in wakefulness are the result of the effects of melatonin’s activation of its receptors expressed by SCN neurons. Melatonin interacts with two G-protein coupled receptors known as MT1 and MT2. It has been shown that agonists for the MT1 melatonin receptor subtype inhibit the firing rate of the SCN neurons and agonists at the MT2 receptors influence the timing of the circadian system. Hence, as melatonin levels rise, an individual starts to feel sleepy. With this rationale in mind, ramelteon (Rozerem), an agonist for both the MT1 and MT2 receptors, was developed. The drug significantly reduces the latency for falling asleep and increases total sleep time in adults with chronic insomnia. Really, ramelteon represents a completely novel approach to the treatment of insomnia as it is not based on sedating effects associated with traditional GABA-A receptor activating drugs. The most recent medication for insomnia also gets away from GABA-A receptor agonist mechanism. This novel approach originally derived from genetic investigations into the mechanism of narcolepsy, a disorder characterized by abnormal regulation of the sleep/wake cycle in which individuals will often suddenly fall asleep and lose muscle tone. This doesn’t only happen in humans. In 1999 it was reported that the gene mutation that was responsible for narcolepsy in a strain of Doberman Pinscher dogs was in the G-protein coupled receptor for a neuropeptide neurotransmitter orexin (hypocretin). The orexins are a family of neuropeptides found particularly in the hypothalamus of the brain. Around the same time that the basis of narcolepsy was elucidated in dogs, other evidence pointed to narcolepsy in some humans resulting from low brain levels of orexins. Moreover, a narcoleptic phenotype was also produced if orexins or their receptors (the GPCRs OX1R and OX2R) were knocked out of the brains of mice. Orexins have turned out to be a major influence in promoting wakefulness. Orexins are expressed by a discrete set of neurons in the lateral hypothalamus. OX2R is expressed exclusively in the TMN, whereas OX1R is expressed preferentially in the locus coeruleus, and both receptors are present in PPT and LDT. The TMN, the predominant source of histamine in the brain responsible for the effects of histamine on cortical arousal, receives a prominent projection from orexinergic neurons which drive cortical histamine release and arousal. 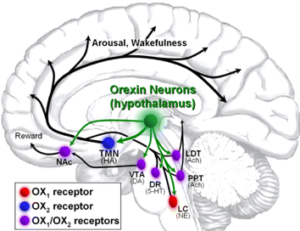 These data clearly indicated that the orexin containing neurons produce a major drive producing wakefulness and lead to the prediction that antagonists of OXRs might enhance sleep. Subsequently, a group of drugs that acted as combined inhibitors of OX1R and OX2R (dual orexin receptor antagonists or “DORAs”) were developed and found to have precisely the predicted activity. One of these, known as suvorexant (Belsomra), has recently been approved by the FDA. Initial experience with this drug in humans appears promising, although it will take time to fully assess its effectiveness and side effect profile. Importantly, suvorexant appeared to be relatively free of abuse potential when tested in animal models (rodents, monkeys) and may therefore be free of one of the major problems associated with GABA-A receptor activating drugs. It can therefore be seen that nowadays there are several alternatives for treating insomnia and our increasing understanding of the neurobiology of sleep, should provide several more possibilities. If you don’t want to use drugs for getting to sleep, then you could try listening to Siegfried and, if that doesn’t work, there is always Parsifal!